Throughout the past fall semester, myself and my five team members have been working on improving and maintaining the green roof project located on the flat roof of the architecture building on main campus. Since the four boxes, two on the walls and two on the ground had already originally been planted over the past summer, it was more up to us to maintain and keep them operating correctly. Being and Environmental Geoscience major with my family in the roofing business, I was more than excited to learn and be a part of this project. Recently, we have been working on cleaning out the dead plants, and taking inventory of what has survived over the past few months, in order to re-plant the modules. Our goal is to have a flourishing representation of a green roof, but we are seeing lots of speed bumps due to the harsh heat of the Texas summers. We learned by taking our inventory over the past few weeks that many of the seeds planted over summer never even sprouted or grew at all. 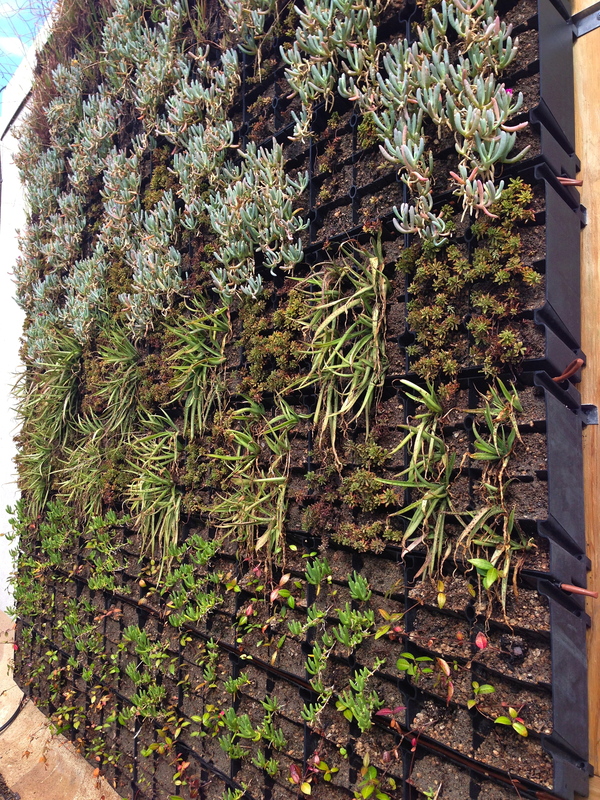 We begun our clean out and re-planting system with one of the wall boxes. It seemed to me as if more plants were taken out and replaced than plants were left. We packed them into their pockets with coconut fiber in order to retain water more efficiently. We also added a few more drip lines to get the plants more water. Our focus over the past three weeks or so was to take inventory of the plants in the two boxes on the ground and re plant what was never grown or what had died. Last week, we got to plant Blanketflower seeds in all of the modules. I am interested to see if planting these seeds now that it is cooler out will have a different impact on their growth, since they had originally been planted in the summertime. 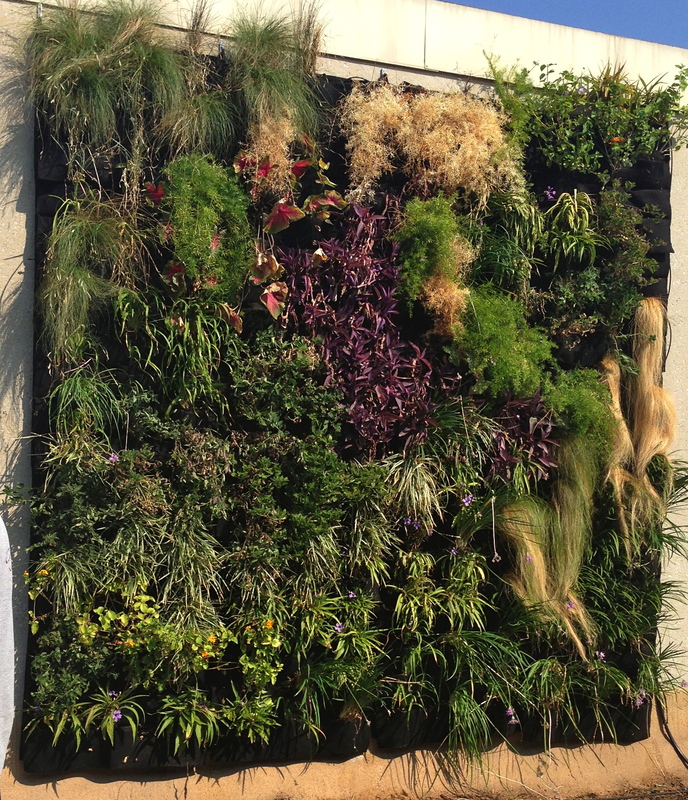 Coming up on the green roof project, I believe we are planning on completely building and making another wall box! I am interested to see how we are going to design and carry this out, since the two wall boxes we already have are so different from each other.